THE BRIDLE THAT STARTED THE BITLESS REVOLUTION! The Dr. Cook® Bitless Western Headstall features an independent rein straps and a smooth, comfortable noseband that provides a clear, pain-free signal and instant release. Although The Bitless Bridle is indisputably a bitless bridle it bears no other resemblance to the pre-existing and traditional bitless bridles. The Dr. Cook Bitless Western Headstall works on an entirely new and different concept compared with all previous bridles. 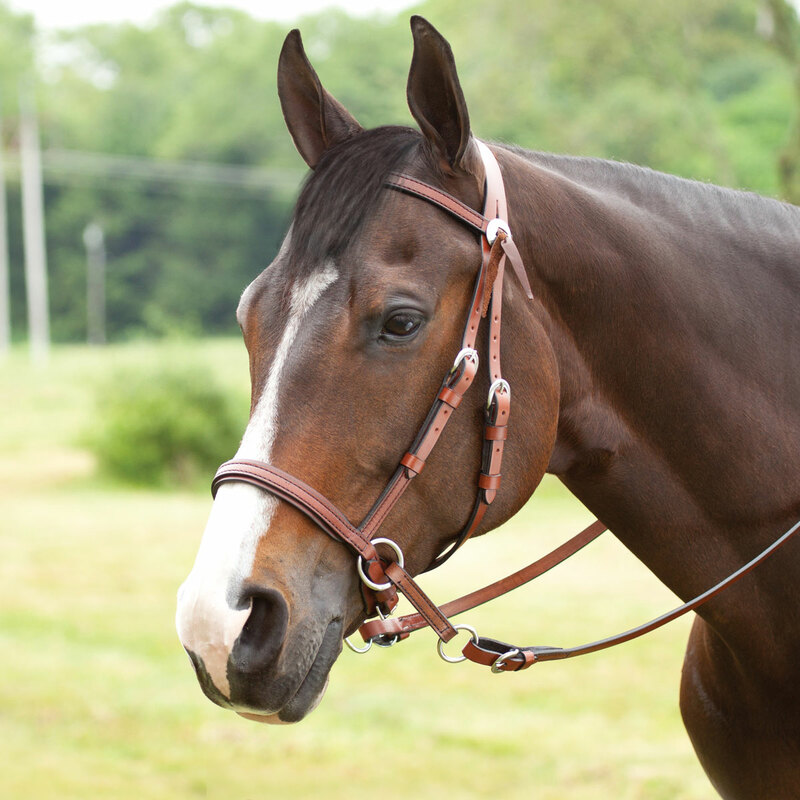 The Bitless Bridle provides full service communication, whereas the traditional bitless bridles have limitations in their ability to provide for rider/horse communication. Dr Cook's Bitless Western Leather Reins sold separately. Hand crafted out of quality US bridle leather. (Wickett & Craig of America). Crafted by some of USA's finest American leather workers. Features western looking buckles and have silver star removable Conchos at the browband. Dr. Cook® Bitless Western Headstall is rated 4.6 out of 5 by 29. Rated 3 out of 5 by Kari from Great for mouth problems My horse had a cut in each corner of his mouth so I could not use a bit till the cut had healed. At first I had good control, but after a month I could not keep my horse straight. He paid less attention to the bitless bridle. I'm using his regular bit now and he goes straight again. Rated 5 out of 5 by Fern from Very nice quality & design I bought this several months ago for my husband’s trail horse. I was amazing at how he immediately relaxed & seemed to enjoy his outings more. Why on earth did I have him in a bit for trail riding? Habit! Am now buying another for my horse to use on the trails. Rated 4 out of 5 by Diablo1 from Bitless bridle I didn't realize when I ordered it that the reins were not included so I had to go out and buy them. Rated 5 out of 5 by Rainier from Dr. Cooks Bitless Western Headstall Great product and well designed , it took a little adjusting and a short time to get used to , so far it seems to be working well. Rated 4 out of 5 by DTCollins from Change Needed I love the the bridle. would like to see a quick snap on both sides of the rein, instead of the buckle on one side. Other than that great piece of equipment. 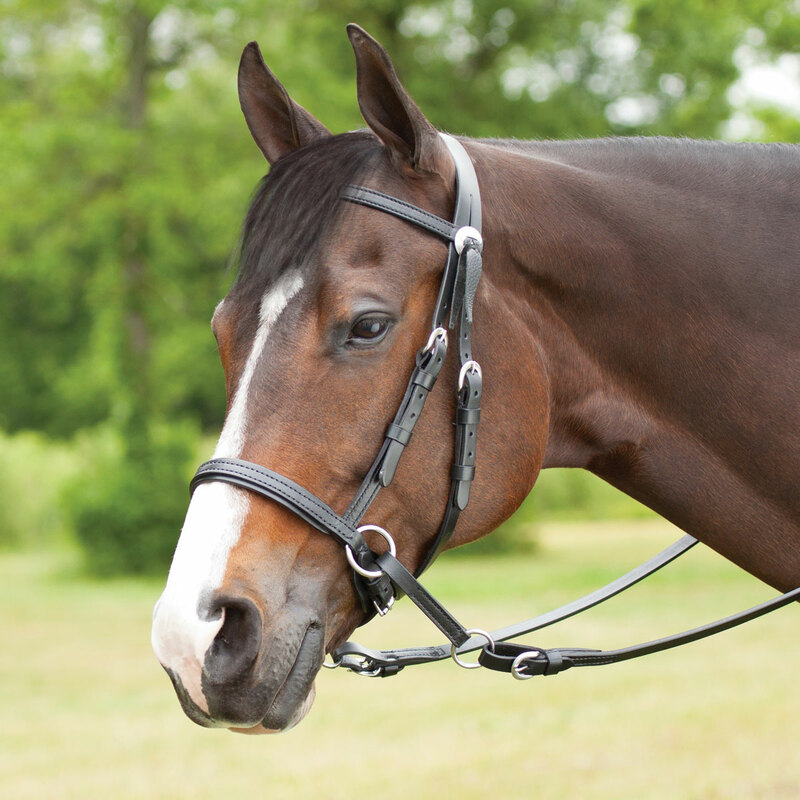 Rated 5 out of 5 by Threebars from Love this bridle! Just bought this bridle for my horse. I was able to get collection, lift shoulders etc. Rated 5 out of 5 by Deanne from Great fit Was using a bosal but my horse has a big head so it wasn't perfect for him. Since these come in different sizes he now has something bitless that fits perfect. Rated 2 out of 5 by Cowboy 1 from Costly, not impressed with the craftsmanship I bought two bridles and feel they are WAY over priced to not come with reins! I have also been dealing with UPS & Smartpak as they did not ship our items to the correct address & then in fixing the problem made it more complicated. Rated 5 out of 5 by Katie Lorraine from In Love! I just bought this a couple weeks ago and my horse and I love it! Not only does it look beautiful on him he responds to it amazingly. I am extremely happy with it!